Size: * 20 x 2.3" 20 x 2.4"
Rubber is something we’ve always taken seriously. Not only is it the connecting point between your bike and what you’re riding, it also makes a huge difference as to how your bike feels. 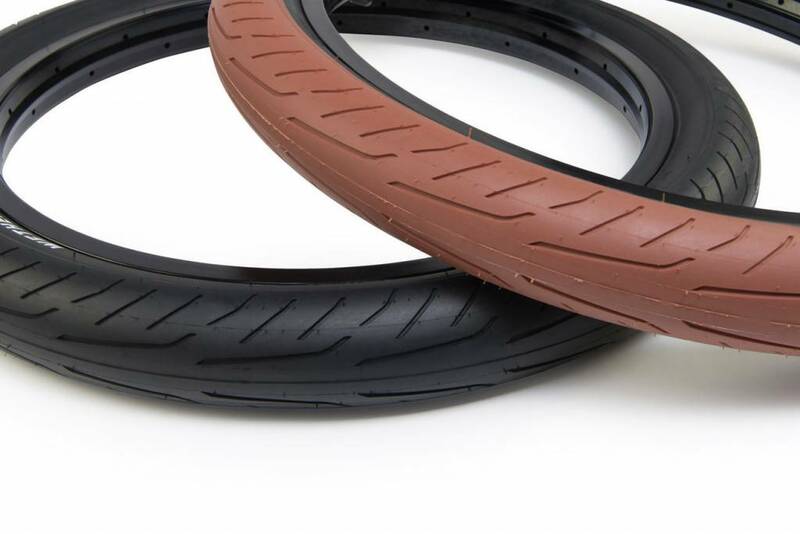 After the success of the Grippin and Feelin tires we wanted to work with the team on a fresh new design based around the needs of the modern street rider. After a long process of testing compounds and refining the tread design we came up with something quite special. The Stickin’ tire is the successful end result of over A YEAR of HARD WORK. Using a specially designed shape and specific rubber compound allowing it to stick to literally anything, yet enable you to grind endlessly without getting your tire stuck on the side of the rail or ledge, this street slick beast was designed to grind and slide like nothing else. get what you actually want!